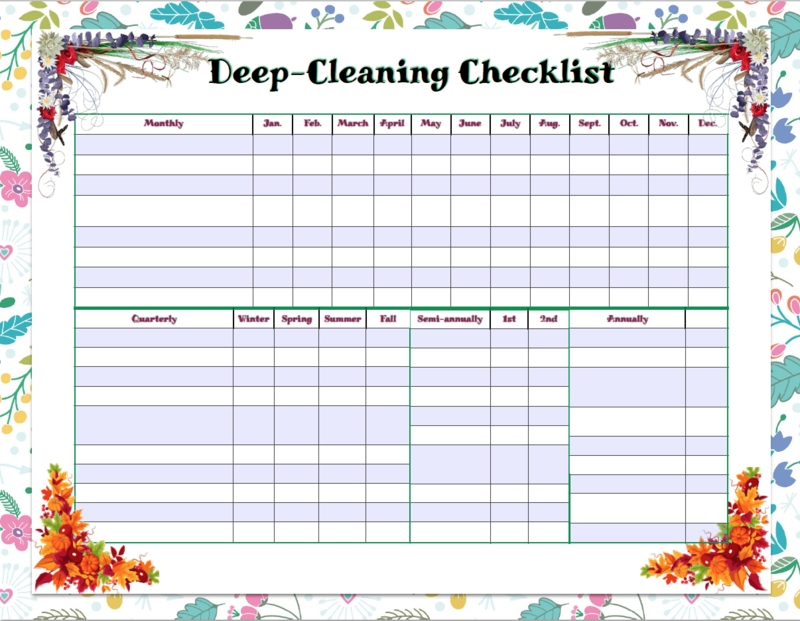 I get overwhelmed by cleaning. It seems like so much needs done. I don’t know where to even start. I sit there looking around…and nothing gets done. 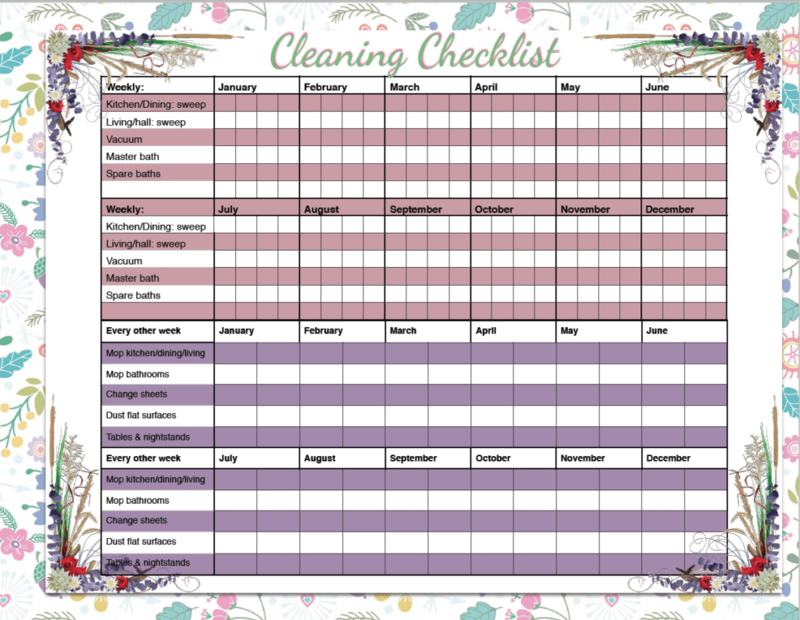 I discovered that having a checklist resulted in a cleaner house. 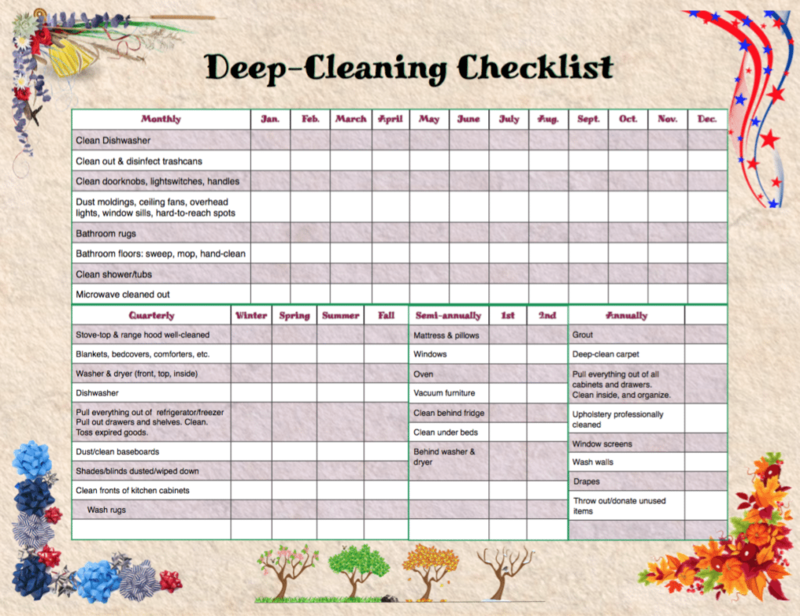 Even better, it was easy to overcome that feeling of “everything needs done.” No, not everything needed done. 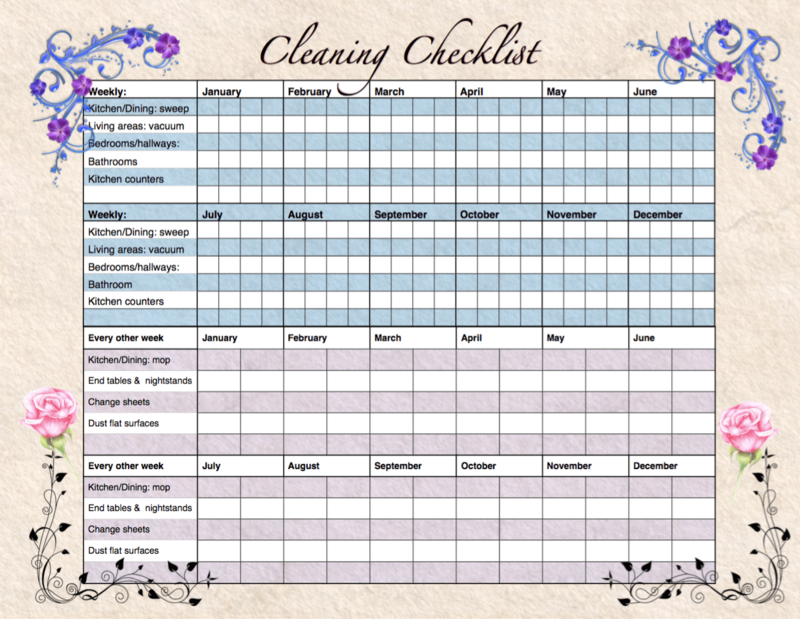 The next item on the checklist needed done! Has anyone here ever moved? 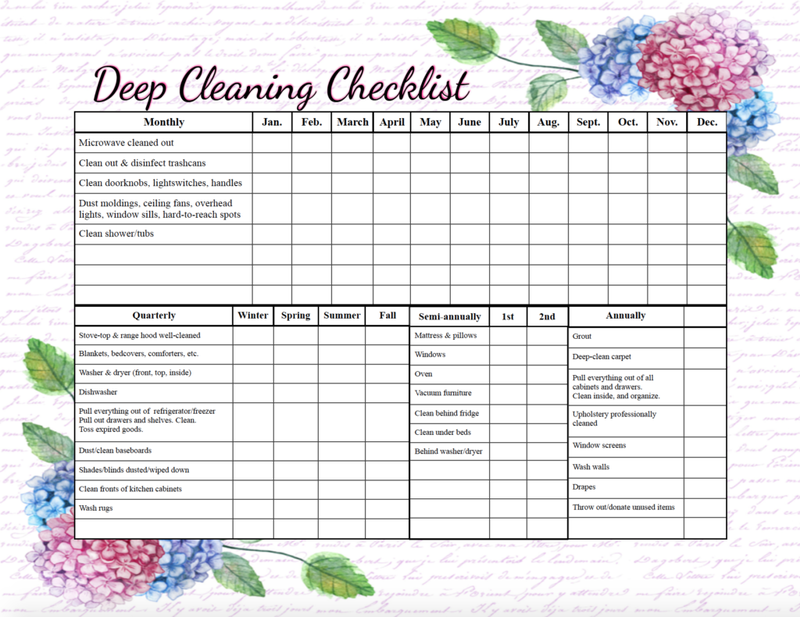 I’m sure a lot of hands went up as I know a lot of military wives read this. One (of the many) annoying things about moving is that my cleaning checklist completely changed. So it has developed over time. But I know a lot of readers are coming back for the old ones. 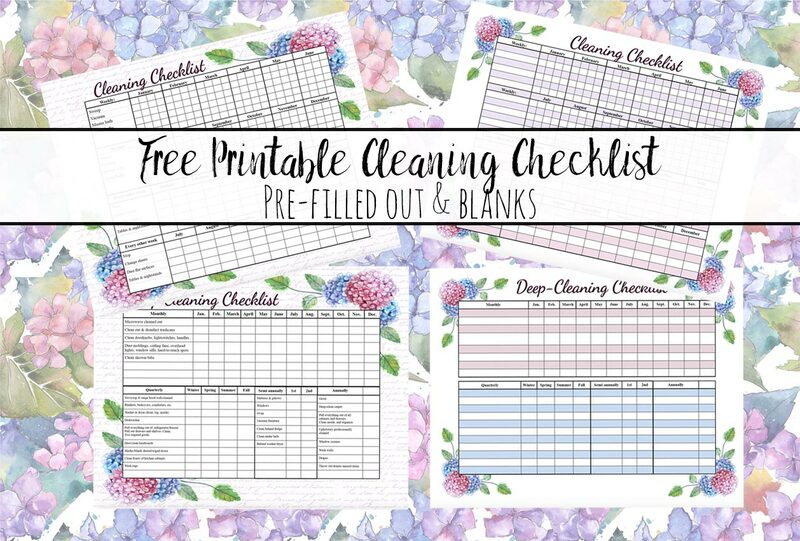 So there are THREE different designs of free printable cleaning checklists below. Don’t get overwhelmed by all the choices. For two of the designs, there are blanks as well as pre-filled out ones. I know it’s a lot to scroll through. 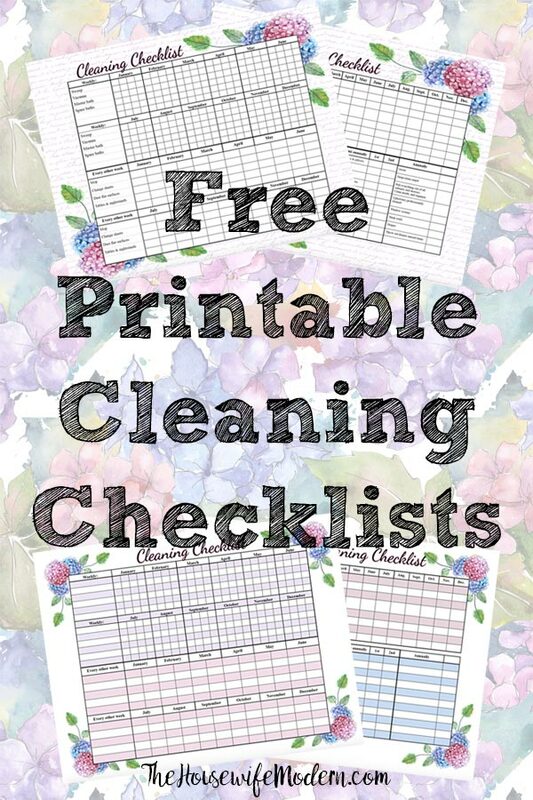 Just pick your favorite free printable cleaning schedule and go with it. 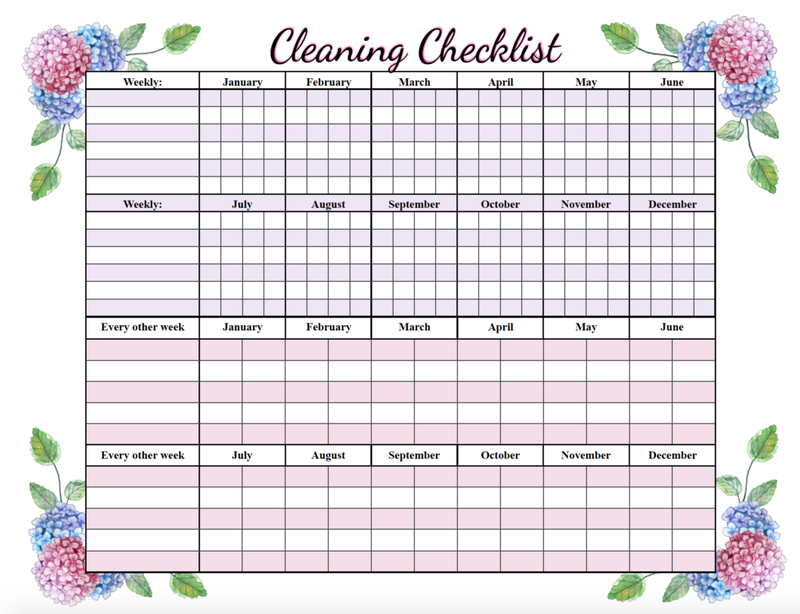 Looking to FINALLY get rid of the clutter? Are you dedicated and serious about that? 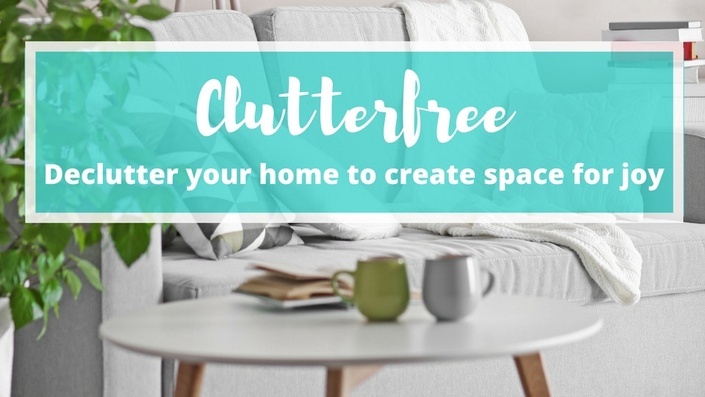 If so, check out “Clutterfree,” an entire course- with multiple modules dedicated to each room and area you need to fix- for getting organized. 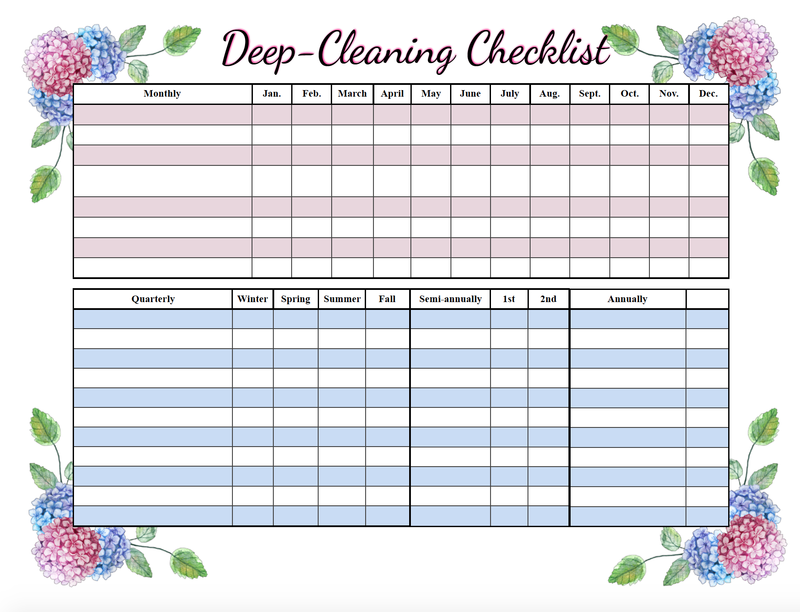 • Print options: regular paper works, but you can use card stock if it will be getting a lot of use. Particularly if you’re going to hang it. 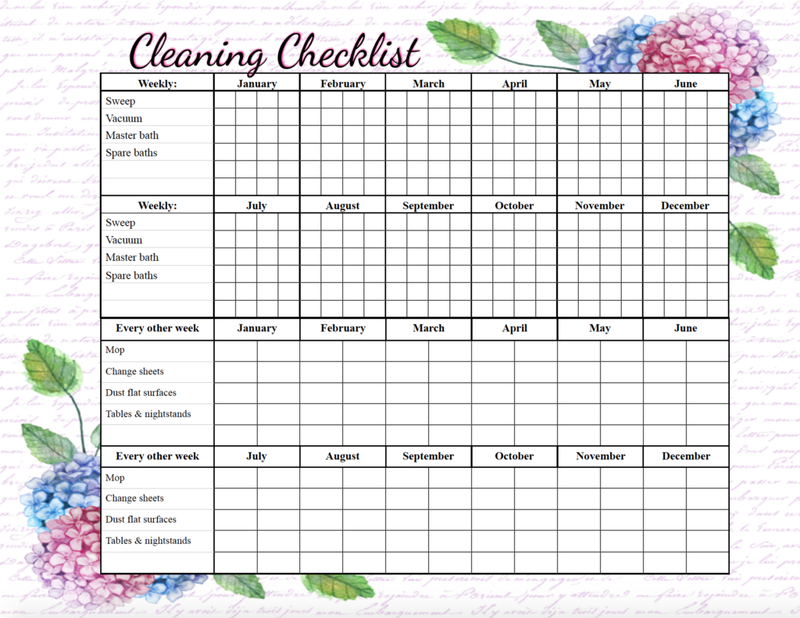 Speaking of cleaning…you might be interested in “Homemade Dishwasher Detergent Tabs” or Homemade All-Purpose Cleaner…save time & money! 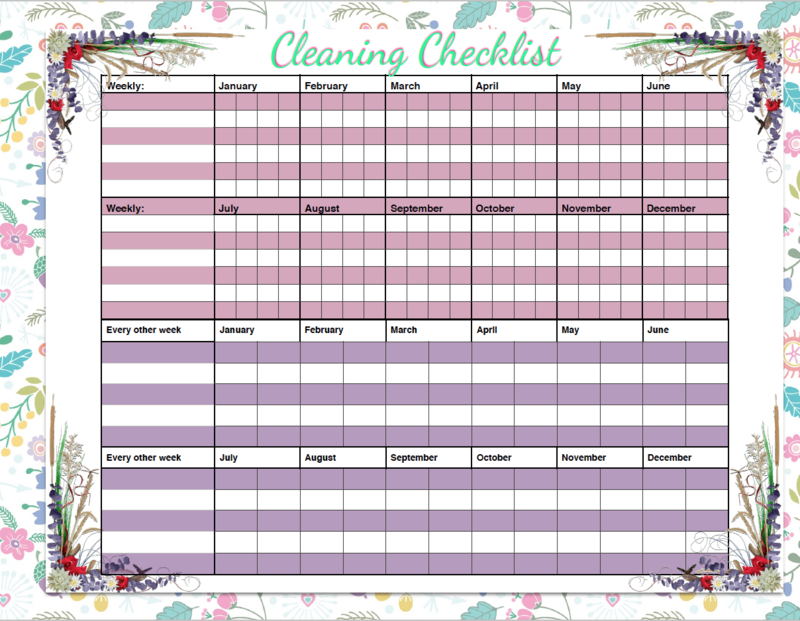 Cleaning checklist_blank2 <<<Click there to download pdf. 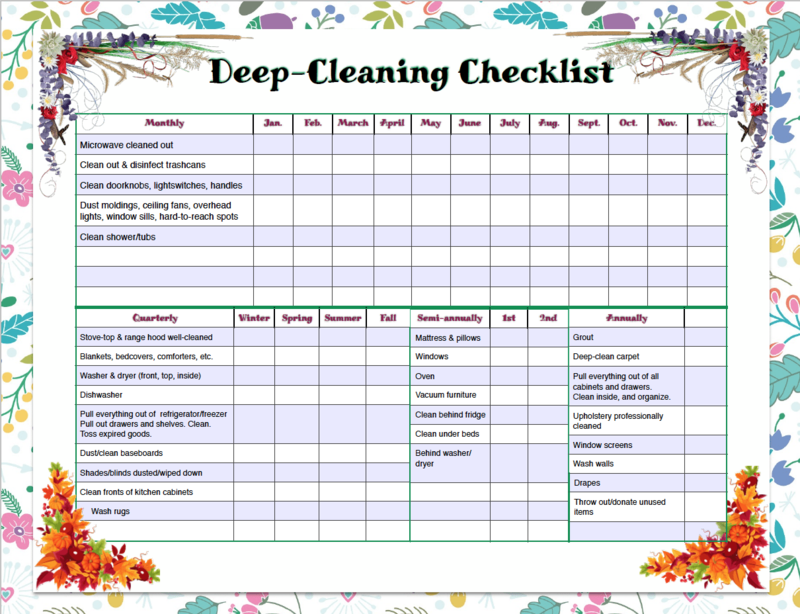 Cleaning Checklist_filled2 <<<Click there to download pdf.